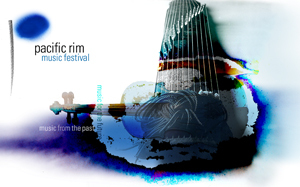 The 2010 Pacific Rim Music Festival comes to a close with the Bay Area's acclaimed Gamelan Sekar Jaya and the UCSC Balinese and Sundanese Gamelan Ensembles in a matinee concert of new works by Bill Alves*, Nano S*, I Gede Oka Artha*, I Made Arnawa, Ni Ketut Arini. With special guest musicians and dancers. See all 5 festival concerts and SAVE UP TO $15 with a Festival Ticket Package. Available online and at the Ticket Office. This presentation is made possible, in part, by gifts to the Arts Division at UC Santa Cruz. Give to the Arts at http://arts.ucsc.edu/giving.